OW game designer Geoff Goodman answered to all questions of the community regarding the Symmetra’s rework. Below, a summary of his explanations and the main topics. Healing turrets do not work with the fast-paced Overwatch meta. A straight beam with longer range, but it doesn’t automatically lock on target anymore. More dps based on lock on duration, but it takes twice the time to increase it. Great against shield-based heroes because the ammo is restored when attacking barriers. We’re still trying some things but what's working pretty well right now is her primary fire changed to no longer lock on but works as a straight beam that is fairly thick and has increased range. It still has the potential to gain extra damage by dealing damage like it does now, but instead of going 30/60/120 dps it is currently 65/130/195 dps. However, it now takes a combined 2 seconds of damage to ‘level up’ to the next tier of damage instead of 1 second. This means the weapon has significantly more potential, but it is more difficult to get it to max power. Also, when hitting a barrier it currently generates ammo instead of consuming it. This means not only is she good at taking down barriers themselves, but she is good at just generating charge off barriers and using that charge to take down enemies as well. Charges twice as faster and the projectile speed is tripled. It doesn’t pierce enemies and shields anymore, but explodes on impact dealing AoE damage. Her alternate fire is still a charge-up large projectile, but it has a bunch of important changes as well. First off, it charges to max charge in 1 second, down from 2 seconds. Next, the projectile speed has increased significantly, currently it has changed from 10 m/s to 30 m/s. Lastly, instead of piercing enemies, it now impacts enemies/environments and explodes, dealing area damage around it. We’ve been heavily iterating on how much damage this ball deals now, but a direct shot has been hovering in the area of 130ish, with a large % of the damage coming from a direct impact (rather than the explosion). Turrets are stronger and with more health points. Maximum number reduced to 3. She can fire turrets in a straight line and deploy them from a distance. We are playing with a new way her turrets deploy. Instead of having to stick them directly onto a wall herself, she can now fire an un-deployed version like a projectile which sticks to walls/ceilings/etc. Once it sticks, it will unfold like it does on the wall currently when she builds them. We’ve lowered the max number to 3 (both that she can hold and that can be deployed), but we’ve increased their damage and slow potential. They also have 30 health currently, though that number will probably change over time as we test. A standard ability that replaces Photon Barrier. It has less health, lasts a short time, and the exit can be placed up to 25 meters away. It may be useful to reach certain areas of the map, even high-ground ones. 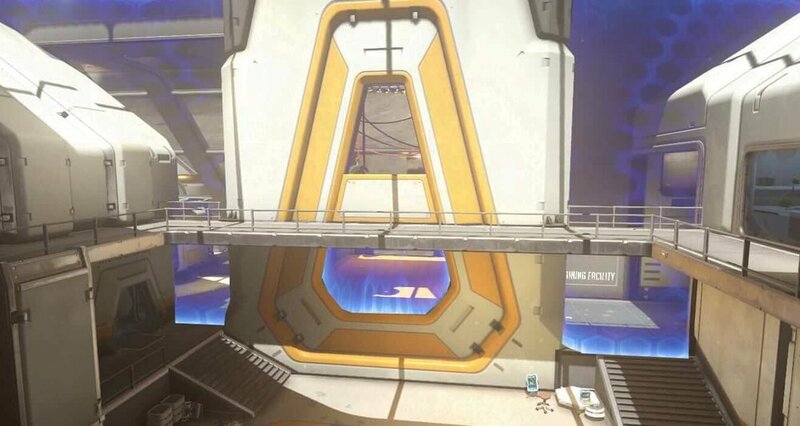 At the moment, it can also teleport abilities such as Torbjorn's turret, D'Va's Self-Destruct, and Junkrat's RIP-Tire. Her Teleporter is moving to her E ability and now works as follows: You place the exit like you normally do, except that you can place it up to 25 meters away, instead of only right in front of you. When you place the exit, the entrance automatically gets built right in front of you instead of at your spawn. It lasts only a short time but allies can use it freely as they normally do, but there are some new things that can teleport as well. We’re experimenting with what works and what doesn’t but currently you can teleport things such as Torbjorn turrets, D.Va’s exploding mech, Junkrat tire, etc. This has lead to some sneaky/fun plays that are really unique to her. It also allows you to get onto high ground on offense with a comp that might otherwise have trouble doing so. The health has been lowered to 300, and the entrance is now attackable as well. If either die, the other is destroyed as well. A huge static barrier with 5k health points. The Shield Generator is gone, for now. Symmetra's Photon Barrier has moved to her ultimate and is now very different as well. Instead of placing a moving barrier, she places a static barrier wall that effectively is infinite in size and has 5000 health. 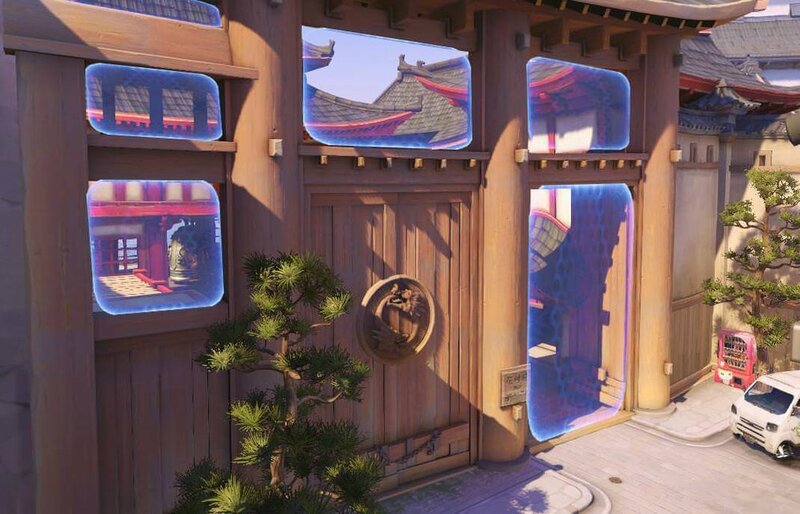 She places this wall much like Mei places her Ice Wall, which means you can place it at some range and you can also change the orientation. The entire thread is available on the Blizzard forum.